A pint-sized stick with the power and functionality of a full fledged computer – just plug it into any HDMI monitor or TV and watch it go! Simple to use – just plug and play! The Intel Compute Stick is about the size of a pack of gum, but has the functionality of a full-fledged computer! Slip it into your pocket and you’ll be carrying your own computer with you wherever you go! 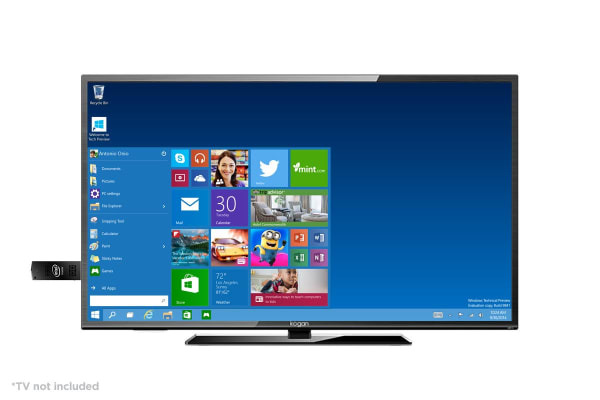 It comes with pre-installed Windows 10, so just connect its HDMI connector to any compatible display, add on a keyboard or mouse with Bluetooth 4.0, and you’re ready to go! You even have the option of using Intel’s Remote Keyboard app to control the computer through your tablet or smartphone. 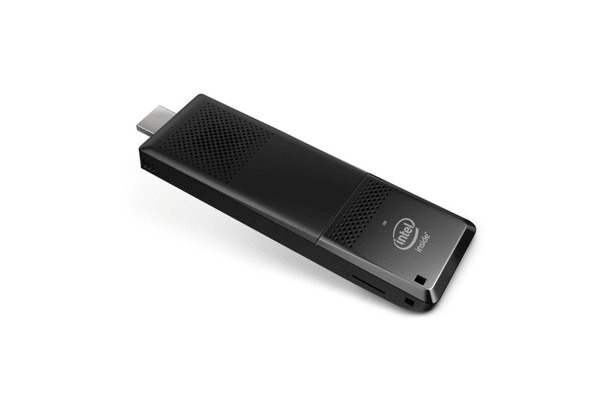 This tiny device packs in the massive power of a Quad-core Intel Atom x5 Z8300 processor, so you can multitask seamlessly whether you’re at work or at play! Though this device is compact, it gives you a surprising number of options when it comes to connecting to other devices and accessing your data. You can easily plug it into USB 2.0 and 3.0 ports, slot in a Micro SD card, or connect wirelessly with Dual Band Wireless-AC 7265 and Bluetooth 4.0! Small size, big storage capacity! With 2GB of RAM and 32GB of internal storage straight out of the box, the storage capacity of this tiny devices belies its size!